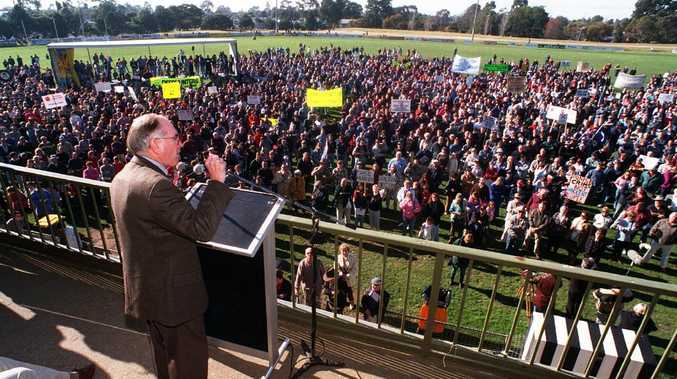 Former Prime Minister John Howard wearing a bulletproof vest at a pro-gun rally in Sale, Victoria. IT'S been more than a decade since an Australian prime minister served a full term in office, a record still held by John Howard. 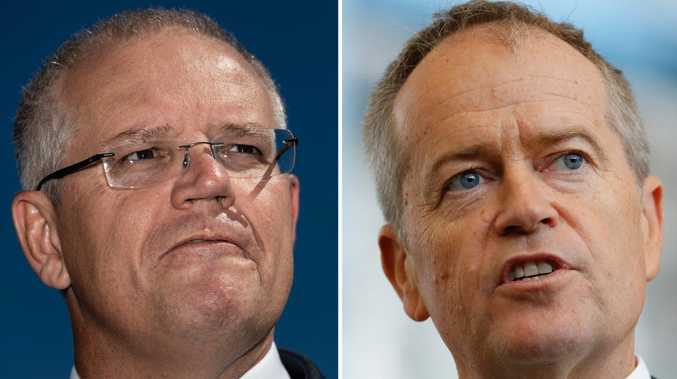 The former prime minster, who served from 1996 to 2007, had a number of defining moments as the leader of Australia's government but it was his push to reform the nation's gun laws that changed the fabric of the nation's history. On April 28, 1996, weeks into Mr Howard's first term as prime minister, Martin Bryant shot and killed 35 people in Port Arthur, Tasmania. Immediately after the horrific massacre, Australia's worst mass shooting in modern history, Mr Howard prioritised gun reform. Mr Howard championed significant new restrictions on gun ownership - a campaign met with immense opposition. The former prime minister had been in office for less than two months when he pushed for the new laws which banned automatic and semiautomatic weapons, introduced licenses and regulated gun storage. The government also spent millions on its gun-buyback scheme. But Mr Howard's attempt to reform gun laws in Australia wasn't without controversy. Hundreds of thousands of people furiously protested the campaign, driving from regional Australia to capital cities to march in protest. 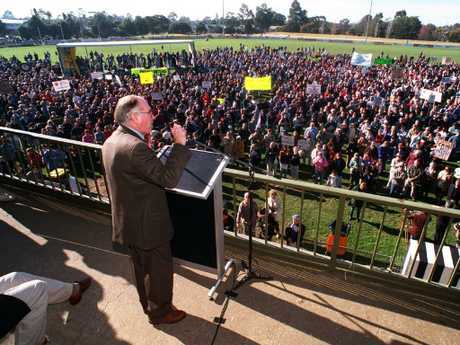 When Mr Howard headed to Gippsland in regional Victoria in June 1996 to attend a pro-gun rally, his security began to fear for his safety. Before taking the stage to speak to hundreds of angry locals in the town of Sale, a threat had been made on the prime minister's life. The outline of Mr Howard’s bulletproof vest. His security advised him to wear a bulletproof vest, advice he followed but regretted. "I should never have worn it," Mr Howard told 9News. "That was security advice I was given. I never really felt unsafe in Australia. "I knew there were a lot of people in Australia who disagreed very strongly with what I did. "That's the stuff of politics. But Australians are not violent people." Mr Howard was criticised for wearing the bulletproof vest. But eventually, Howard's gun reform laws passed without violence, laws the nation routinely thanks the former prime minister for. In February, after a teenage boy shot and killed 17 of his classmates in a Florida high school, former Prime Minister Malcolm Turnbull thanked Mr Howard. Mr Turnbull had been asked if he had any advice for US President Donald Trump. "We don't tell other countries how to manage their firearms policies, but obviously Australia's is one of the strictest in the world," Mr Turnbull told The Australian. 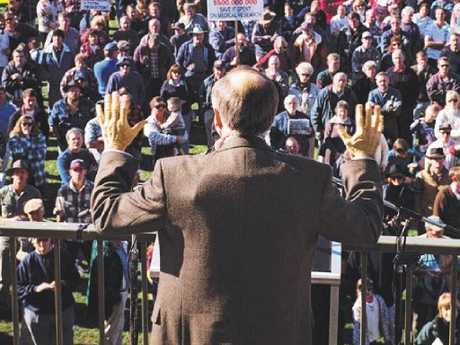 "We have a great deal to thank John Howard, and indeed Tim Fischer who supported him as leader of the Nationals at the time, for taking up the leadership challenge after the shocking Port Arthur massacre and introducing our tough firearms laws, which as you know dramatically restricted the range of firearms that are available. "The United States has a very different culture in respect of guns. It's a very, very intense political debate there. "But in terms of policy, nothing speaks more eloquently than the leadership of John Howard and the effectiveness of the laws he put in place more than 20 years ago."